Coconut 101 is here, where I’m going to take you through some need-to-know coconut basics for your kitchen! 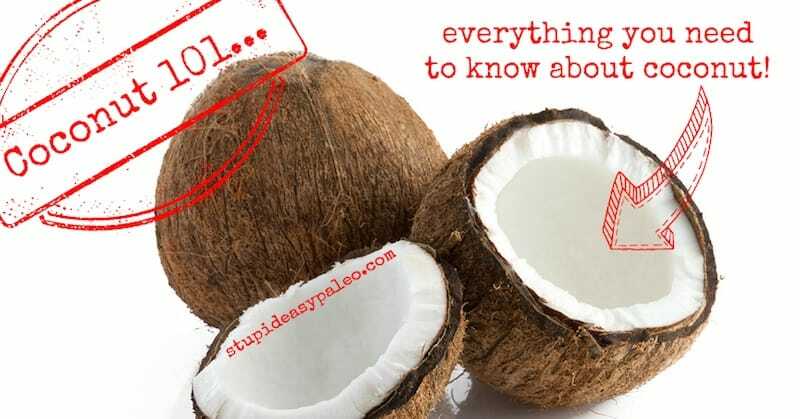 Coconut Basics: Why’s It So Common In Paleo? Coconut is a darling ingredient of Paleo / primal and real food cooking and for good reason: it’s loaded with healthy fats and is shelf stable. Its creamy texture is great for dairy-free cooking. I’m going to explain these in more depth, then break it down by coconut variant…sort of like an encyclopedia of coconut goodness. 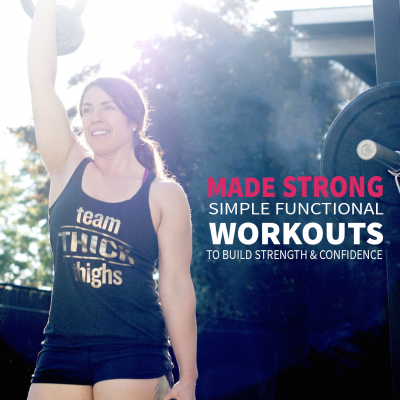 Let’s tackle the fat component of coconut first. Coconut oil’s a combination of three types of fat: saturated (92%), monounsaturated (6%) and polyunsaturated (2%). WHOA…hold up just a second..isn’t that a LOT of saturated fat? 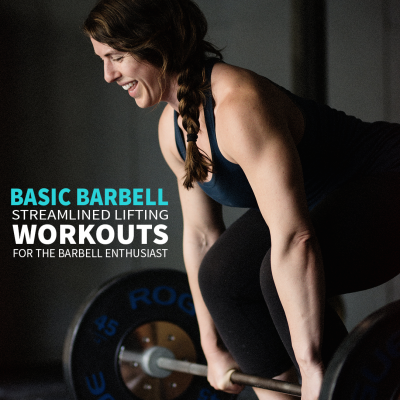 Yes, coconut oil is mostly saturated fat which kind of makes it the animal fat of the plant world, and seasoned paleo eaters know that saturated fats aren’t bad in the context of a diet that’s not high in carbohydrates (for more on that topic, click here). 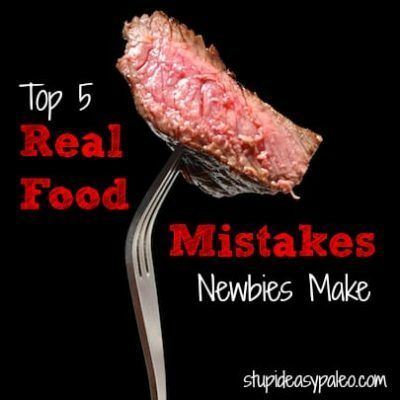 If you’re a newbie to paleo, you may be surprised at all the sat fats showing up in recipes…ghee, coconut oil, duck fat. Even lard. Remember, paleo’s not a low fat diet, and human beings need fat to function properly. So…coconut oil, rich in sat fat, is good! Why not just eat lots of mono- (MUFA) and polyunsaturated fats (PUFA) like other plant oils then? Aren’t those healthier? Keep in mind *why* plant oils are liquid at room temperature in the first place. They contain one or more double bonds in their carbon-hydrogen tails, making the tails bend and preventing them from packing closely together. [Saturated fats contain no double bonds in their carbon-hydrogen tails, making them straight and easy to pack together, like Pick Up Sticks.] Back to the bendy tails…they make fats less stable and more prone to oxidation which is not a good thing. Ever notice why some oils, like flaxseed, are sold in dark brown bottles and are supposed to be refrigerated? It’s because it, like other PUFA-rich oils, is prone to oxidative breakdown and will go rancid quickly at room temperature. So, coconut oil (along with other dense saturated fat sources) is 1) more stable at room temperature, 2) more resistant to oxidation and 3) more stable at moderate temperature cooking than some other plant oils. Because of coconut’s high fat content, it adds a great unctuous character to different dishes. Of course, there are classics like curries but virtually any way you’d use dairy, you can substitute coconut milk instead. In a pinch, you can try stirring in coconut cream or even coconut butter instead of coconut milk to add some extra creaminess. For coconut milk, the fat content will vary by brand and I’d recommend staying away from those which contain emulsifiers (read more in my article here). If you want “lite” coconut milk, it’s less expensive to buy full-fat (canned) and water it down yourself. Coconut Butter (also called Coconut Manna or Coconut Cream Concentrate™): When dried coconut meat is ground down into a very fine pulp (much more finely than coconut flour), the result is coconut butter (click here to learn how to make your own). It can be used in place of nut butters and used in a variety of ways (my favorites of which is to eat it off a spoon or on a piece of high-quality dark chocolate). When you buy coconut butter, it’s probably going to be solidified in the jar and have separated out into two layers: the upper layer (translucent) is oil and the lower layer (opaque) is the meat. Warm it up in a pot of hot water and stir to combine. Coconut Cream: This is the fraction from coconut milk that separates out when a can of coconut milk without emulsifiers is allowed to sit still for a while. The cream component rises to the top and separates from the water. It’s different from coconut butter because it’s been strained and contains no fiber. 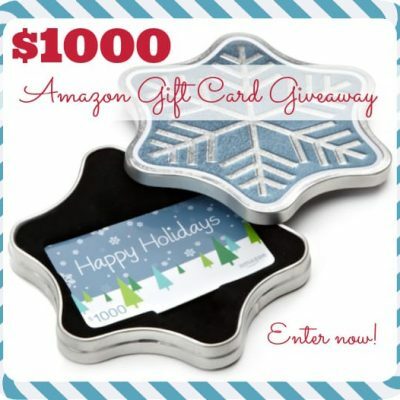 Hint: makes a killer whipped cream substitute when whipped until airy! Some brands advertise cans of coconut cream: they just contain less water than coconut milk. Coconut Milk: When coconut meat is blended with water and strained, the result is coconut milk. Its fat content varies by brand with cheaper cans often containing less coconut cream and more water. Choose a brand without emulsifiers (like guar gum, carrageenan, methyl cellulose, and corn starch) that’s sold in BPA-free cans (like these) or tetra-pak cartons (like these). I don’t recommend coconut milk sold in cartons (except for the one I just listed) because they tend to contain preservatives. Coconut Nectar & Crystals (also called Coconut Sugar): Don’t be fooled. Even though it’s derived from coconuts, it’s no better than any other sweetener out there from a health perspective. Use judiciously, if at all. Virgin…coconut oil obtained from raw coconut meat that hasn’t been heated. Note: the standards for what denotes virgin from extra virgin don’t actually exist. Extra Virgin…this term really means nothing between coconut oils (though it does for olive oil). A term used to market and appeal to consumers as “higher quality”. Refined…usually treated with deodorizers, bleaches and other chemicals. It usually smells / tastes less like coconut. Very low quality refined oils are sometimes even hydrogenated (eek…trans-fats!!) to increase shelf life even further. Unrefined…not treated with deodorizers, bleaches and other chemicals. Most virgin and extra virgin coconut oils fall into this category. They tend to have a stronger coconut flavor. Expeller-pressed…coconut oil obtained from the manual pressing of the coconut meat, not by using chemicals. Centrifuged…the liquified meat is spun down in a centrifuge to fractionate the oils away from the water. Therefore, the oil was exposed to less heat during processing. Organic…the coconuts were grown without the use of pesticides, insecticides, etc. This term doesn’t tell you how the oil was harvested, however. Do you still have questions about coconut? Let me know in the comments below! Spices! 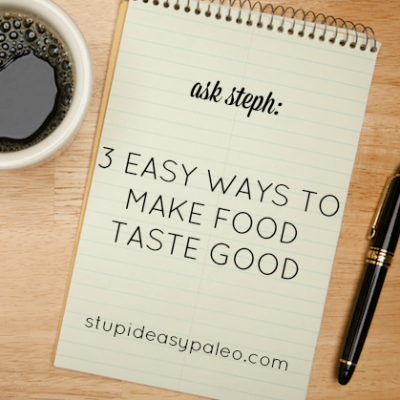 Stop Eating Boring Food! Yeah, that’s all great. My problem is, I don’t like the taste of coconut. 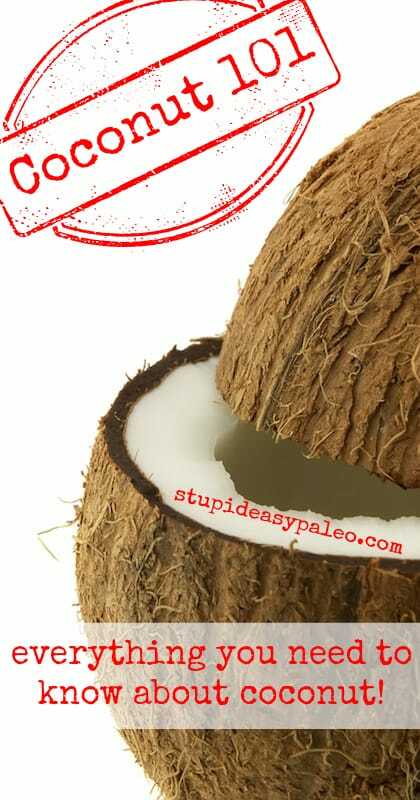 And coconut is everywhere in Paleo world! I know there are great substitutions, but … I guess it feels like I am not getting the most out of my new way of eating by not following recipes, etc… exactly. Like I am losing out some how. 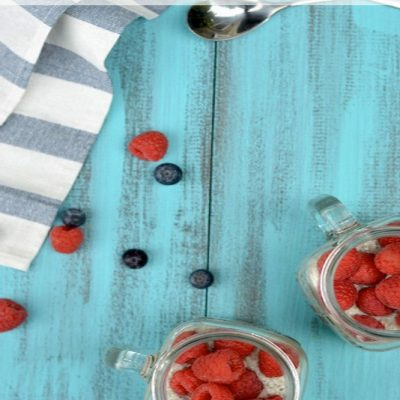 Have you tried homemade almond milk? When made extra-creamy (I cut down from 4 cups of water to 3) it’s pretty delicious! There is coconut oil you can use that does not taste nor smell of coconut! It is “expeller pressed” coconut oil. Cold pressed oil still have the flavor of coconut. Try it – you’ll likeit! I don’t see how this would dramatically affect the taste. Respectfully, I suspect the oil is refined which can remove the coconut taste (and some of its nutrition). AH! This was so helpful! Thank you! I like coconut oil and drink it in my coffee every morning. I don’t cook with it because it tastes like coconut. Is olive oil a good substitute? I only use olive oil for low temp cooking and drizzling on food after it’s done because it’s a less stable oil at higher temps. 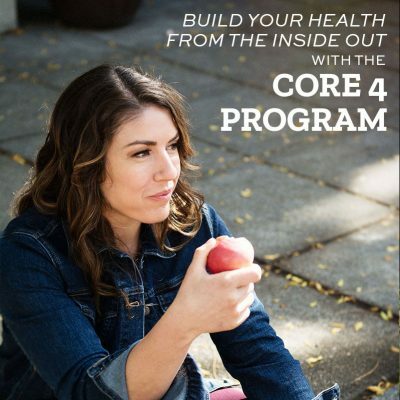 Have not long started the Paleo way so this is super helpful and I love coconut anything….. Thank you! I love the concept and making it from scratch would be my preferred method. Not sure about how they vary brand to brand but the one I looked into has coconut milk, tapioca starch, probiotic cultures and xylitol. My main issue is the xylitol but the other one would be the fat content. While I don’t shy away from fat AT ALL, it would be pretty easy for me to tank one of the containers because yogurt goes down so easily (kind of like smoothies). I’d probably save it for a once in a while treat. Hi Karen, I guess the only “complaint” I have is that coconut has basically no protein, unlike regular yogurt. From a nutrition perspective, isn’t coconut sugar better than “regular old sugar” in that it a) causes a significantly smaller spike in blood sugar b) has actual nutritive value (vitamins, minerals, etc) and c) it’s unrefined? Hi Sam…great points and yes, relatively speaking, I’d rather use something like raw honey or coconut sugar than refined cane sugar for the reasons you’ve listed. I must be quite careful, though, here on the site because I don’t want my endorsement (even for the reasons you’ve listed) to give folks carte blanche to use large amounts of sugar in their recipes. So yes, if you have to pick a “better” choice, there is a spectrum when it comes to sweeteners. Thanks for stopping by! Hello I eat Lets do organic coconut flakes unsweetened, zero additions, kosher, vegan, gluten free, no sulfites or preservatives, no trans fats it’s simply dehydrated coconut but I’m confused about this: the regular version (not toasted) says it’s 4g carbs and 2g fiber and < 1g sugar and 1g protein for 3 Tbsp. But the toasted one says it's 7g carbs, 0g fiber, 0g sugar <1g protein. So, toasting the cococnut changes it? I don't understand at all how the carbs go up, the fiber & sugar are non existent and the protein goes down. Why? Or do you think it's a mistake? If not what is the chart for the nutritional value of cooked vs raw vs dehydrated vs toasted, baked, sautéed or boiled? Hey Laurie…food labeling is a little tricky and there are certain rules that manufacturers have to follow. For example, there might still be protein but it’s such a small amount. Why do the sugars go up when you toast it? The water is driven off and the sugars caramelize/concentrate. I have been using betterbody foods coconut oil and like it but I am not sure if it is the best option of the coconut oils. I like that I can get a large jar for $9. I recently purchased Dr. Bronners Magic coconut oil and was wondering if I should even open the jar or return it for my usual brand. The only difference I see in the two is the Dr. Bronners claims to be more raw.. it says ‘whole kernel unrefined’. Is that just fancy wording to get people to buy it? Also, is there such a thing as using to much coconut oil? I use it to cook with in everything that requires oil and I also use it on my skin. Is there a limit I need to observe? The raw coconut oil is likely processed without any heat which is probably how it differs from your other brand. Unrefined is the type I like because it’s not treated with chemicals. If it claims to be “extra virgin”, well, there are no standards for what that really means. As far as using too much, it depends on your personal goals in terms of health but with all fats, I’d use in moderation. Thank you! I’m confused about how to cook with it, esp if it’s in solid form. Do I just sub it in directly for butter or veg oil? Thanks for your help, I’m a newbie. Yes! You can substitute it in for butter or other oils in the same quantity. Coconut oil makes my face break out. Is there a good substitute for it in recipes that call for coconut oil? Or for general cooking purposes? Hi Aimee. Have you tried something like ghee (clarified butter)? It’s been stripped of its dairy proteins so it’s usually tolerated well by people with dairy sensitivity. It makes a great substitute for coconut oil. Thanks for the info on coconut. I love the taste of it in whatever way but need to ask a question: when buying coconut milk or cream in tins the labels on these tins sometimes mention that the milk/cream has been bleached. What does this mean and with what do they bleach? Hi there! Coconut & coconut milk can change color / darken upon exposure to air. To prevent it from browning and keep it white, sometimes chemical bleaching agents are used. I did some poking around but wasn’t able to find exactly what kind of bleaching agents they use. Sometimes you’ll see refined coconut oil referred to as RBD: refined, bleached and deodorized. Hope that helps! Im allergic to coconut are there any substitutions I can use? 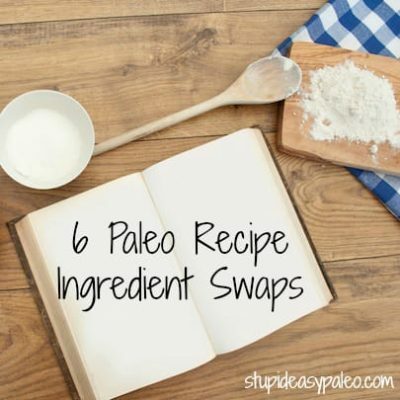 It really seems like so much paleo recipes need coconut in them. For coconut milk, maybe homemade almond milk. To make it thicker, I’d cut down the water by about a cup (I use this recipe: https://www.stephgaudreau.com/2013/06/17/homemade-almond-milk/). For coconut oil, ghee (clarified butter) works well. So, did you explain about if coconut is a nut? I have a friend who thinks it is. Hi Shirley…it’s not a true nut but rather a drupe (that’s the botanical name for the plant part). Is creamed coconut the same thing as coconut butter? Aside from eating it off the spoon or putting in on chocolate, do you have any suggestions how to use it – recipes, websites, etc.? I bought 3 kilos of it, since coconut’s so paleo and good for you, but now I don’t know what to do with it. Yes…it’s the same. I use it anywhere I’d use butter. My favorite: put in on sliced apples or on top of a hot, roasted sweet potato! I am wondering about the “carbon footprint” of all these coconut products. Where do these products come from? Are they harvested/stored/transported in proper way, meaning the product is of reliable good quality? am living in the UK, for sure we do not have any Coconut plantations. Is there any in Europe? The products sold, are they fair-trade? I understand the benefits from using coconut products, I am not sure how reliable the quality is. Thanks for your blog, I am a biochemist, I really enjoy it. Thanks, this is a great informative write up. I’m curious why I can eat Coconut oil and not react with a food sensitivity nor allergy, yet I certainly do, and quickly with coconut flakes, shreds, flour? Coconut oil is almost 100% fat which rarely causes a reaction in people. Most folks who are sensitive to coconut react to the other versions, not necessarily the oil. Thanks for such a prompt response.! I’m curious as to why that is though. I have numerous food allergies and sensitivities and for the last two years I have eaten and enjoyed all forms of coconut. All of a sudden, I can only tolerate coconut oil so I’d love to know the science behind the difference. Is it that the oil is all fat? Thanks for your time! Yes, the oil has none of the coconut proteins that could likely be causing your sensitivity. I’ve been wondering, if I sub coconut oil for butter in baking applications, will browning occur to the end product as with butter? Coconut oil usually doesn’t prevent browning but it sort of depends which type of baking application you’re using it for. I have coconut cream and coconut milk from the same company. Why does coconut cream have more carbs than coconut milk? Shouldn’t it be the other way around? Hi, i want to make coconut chips, do you know if what type of coconut will i be using to make the product?. You need coconut flakes that are wide. Does the meat inside of a coconut have oil in it?? I have an unopened glass jar of “coconut cream concentrate” that says “best if used before 10/27/14” – is it still ok to use or should I toss it?? Anita, my motto is always, “When in doubt throw it out.” It probably won’t make you sick but the fats can go rancid after a long period of time, and it probably won’t taste very fresh. Personally, I would toss it. It’s nearly 1.5 years past that best by date. Do you put coconut vinegar in the fridge after its open? do you have an idea about how much water would be in a coconut cream? I like to make my coconut milk with just coconut butter and water in the blender, especially for raw foods… I need a coconut cream and I duno if i should just make milk and then let it seperate or try to figure out the proportions of how much less water would go into the cream? Hi Corinne, It really comes down to the brand I’m afraid. When a recipe calls for coconut milk, and it is canned, am I supposed to scoop out all the cream on top and just use the liquid part? Or should I be blending (mixing) it together before using the “milk”. Also, if not using the cream part of it, how should I store that part and what can I do with it? I did read you liked it on apples and sweet potatoes? Or I can make whipped cream? Hi Keri…if a recipe calls for full-fat coconut milk, shake the can well and use as-is. If it calls for you to refrigerate the can for 24 hours and scoop off the fat, do that. Store the cream in the refrigerator in a covered container. You could make coconut whipped cream, stir it into coffee, etc. I am new to using coconut everything but am loving it! I used coconut manna for the first time last week. When I went to open it this week, there were white fuzzies, kinda crystal-like, on the top. I almost thought it was mold but wanted to do research first. Is that normal? It seems to melt just like the rest of the jar. Thanks! Sweet!! Super glad to hear that, Joselynn! Thanks! Do you know what the fuzzy, crystal-like substance is? Does that sound normal for a jar of Coconut Manna? It’s only been a week since I opened it and I’m almost afraid that it’s mold. Hello! I am very interested in making my own coconut oil. Is it ok to use a young coconut? I have a case of them right now lol. Hi Julie…I’m really not sure…sorry! I hate watery almond milk, Will adding a can of coconut milk thicken it? Hi Debbie…I’m not sure what you’re asking. You can definitely combine the two. Hi – Great site, so informative! I want to cook with coconut milk but I hate how it gets all curdly if you cook at high heat. Is there an optimal temperature to heat up coconut milk? I’m currently using it to make golden milk. Don’t bring it to a hard boil. Recently returned from the Yucatan. Free coconut juice and meat in daily smoothies. Why does the raw coconut meat taste so different . (better) than the processed slivers? Hi Kathryn…I’m not sure but if you find out, let me know! Oooh my gosh…I found it…the solid coconut is a sprouted coconut. I found video on YouTube! . It looks so delicious. I hope all that loves coconut gets to try one of these soft yummy treats! If you grind up dried coconut you’ll get coconut butter. That’s not possible. Manufacturers aren’t required to list the amount of each ingredient in a product. Do all forms of coconut digest the same in the body? Different forms of coconut have different quantities of MCT (medium chain triglyercides), saturated fat, carbs, etc depending on the ratio of coconut oil to coconut meat. I’m not sure I know what you’re asking. Would you clarify? As good as coconut is, would the different forms be rated as good and better? When I put a tin of coconut cream in the fridge then open it. The thick cream rises to the top and the liquid (water) sits at the bottom. There’s generally around 12-16 grams of carbs per tin. Is all or most of that carbs in the water at the bottom or is it mixed between the water and the thick cream. I’m eating a keto diet and want to remove as much carbs as possible and eat a fair bit of coconut cream for the high fat content and also because it’s delicious and versatile. Most of the carbs will be in the liquid but some are in the fat (cream)…as compared to coconut oil which has none. Hello! I looove creamy dishes for dinner, but my problem is that I’m very lactose intolerant. Would substituting coconut cream for cream in a pasta dish or soup recipe make it taste like coconut? Or does it not really add much flavor and mainly thickens it? Thanks! Yes it does add a strong coconut flavor. I’ve been advised to incorporate 6 tablespoons coconut oil per day into my husband’s diet, but no more than this. For variety I’d like to sometimes use coconut milk, but need to know how much coconut oil is in , say, a cup or a half cup of coconut milk so that I end up giving him the correct daily dose. Please can you give me this information? Calculate the number of grams of fat in 6 tablespoons of coconut oil. Then figure out how much coconut milk you need to reach that value. It’s not exactly the same though because coconut milk is made in a different way than coconut oil. Thank you for sharing all of this wonderful information. I have unflavored odorless coconut cooking oil that remains liquid. It’s by carrington farms. Is this an acceptable form of coconut oil for paleo? Hi Diane…you’ll want to check the label. I prefer to use a coconut oil that’s labeled as virgin, cold pressed, or unrefined. Coconut in the shell is, for all intents and purposes, the same as the dried coconut, just with some moisture in it. I like coconut milk made from flakes or chunks or shreds. I realize when I buy 25lbs of this at a time (most reasonable) I am getting a “by-product” left over after “they” add water, separate off the oil, then press out remaining liquid – can it – and sell it as milk. When I start making my coconut milk, my dried/press coconut has little coconut smell or taste. However, if I take three cups of one suppliers product, or six cups of of another suppliers product, pour a pint of boiling water over it, let it sit for ten minutes, whip it in my Ninga, then “French Press” out the liquid, I get a product that tastes rich and actually separates out like “raw” cows’ milk. I still feel cheated….because….what I would like is the flakes/chunks/shreds before processing – the key word is “before”. PLEASE … can you help me find this product in something more economical than 8oz or one pound sealed bags…key words being “more economical”. Look in to Tropical Traditions. They may have some advice or options for you. What is the difference between coconut flakes and coconut macaroons! I could only find the latter at the market. Hi Nita…I don’t understand your question. Coconut flakes are an ingredient. Coconut macaroons are a cookie. Where can I find recipes for fresh coconut products? I have fresh coconut available to me and I want to make some of these coconut products. Hi Stacey…I’m really not sure what you’re asking. Would you clarify? Does an organic bag of coconut with no sulfates or preservatives go bad when bag has not been opened? It’s more likely to be stale than rot because it’s dry. Depends on how long you’ve had it for. I received coconut cream that was tan insteadof white. Know why? Thanks alot. By coconut cream do you mean milk or something that’s more like coconut butter?